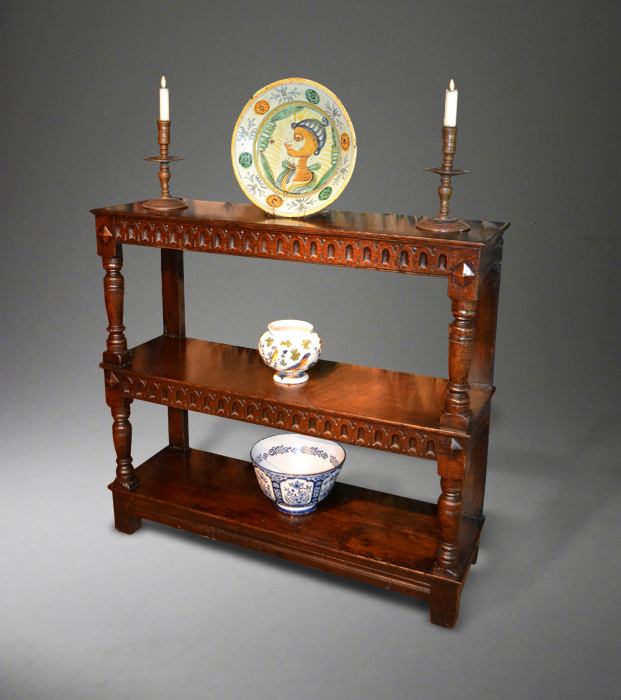 Suffolk House Antiques | Two good pieces of mid 17th century oak furniture. TWO GOOD PIECES OF MID 17TH CENTURY OAK FURNITURE. Just acquired from a local farmhouse, this Charles I oak three tier buffet has nulled decoration to the upper two shelves, rising baluster turnings and excellent colour. It is very reasonably priced at £3850 (NOW SOLD). 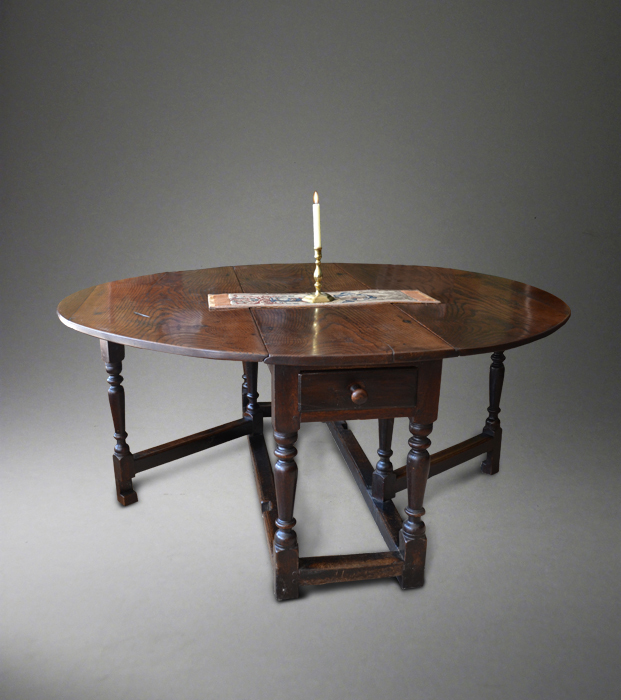 The mid 17th century oak eight seater gateleg table is heavily constructed with a one inch thick top, two drawers and rising baluster turned legs. Excellent untouched colour. The price is £3650.